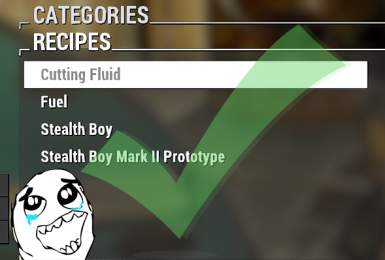 Moves various armor and weapon mods from the Chem Lab to the workbenches given by Armor and Weapon Keywords Community Resource (AWKCR), Armorsmith Extended, and Crafting Workbenches. Just ask. If you're a mod author who's mod I have patched out of the Chem Lab and you want to distribute this or the records within as an optional download on your page, go right ahead. I couldn't have done it without you, Sam. Stop cooking your pants. Seriously. Stahp. 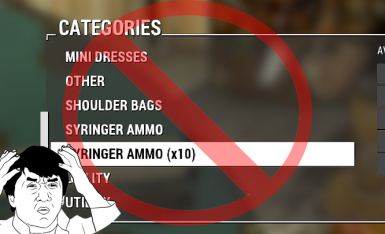 So this mod has a somewhat silly tone, but I want to say I truly appreciate all the hard work the authors of armor and weapons mods out there put into their mods. I'm not on that level, but it drives me bonkers making clothes in the same place I make my drugs. That's not immersive! 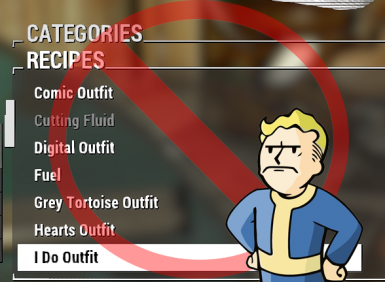 This mod will restore your Chem Lab to it's intended purpose: making chems and not pants. I made this mod for myself because I was tired of having tons of armor and other stuff in my chemistry lab and I decided to put it up for everyone else to enjoy. This mod does not contain any meshes, textures, or other assets created by other modders. Instead, it contains records that move the items from the Chemistry Lab to the workbenches given by Armor and Weapon Keywords Community Resource (AWKCR), Armorsmith Extended, and Crafting Workbenches. There are also some name changes for a few to hopefully make the item names less ambiguous and easier to distinguish from other mods. I don't download every armor and weapon mod that I see, but I'll add one if you suggest it. I sort of think that individual patches for AWKCR/AE and CW should be up to the original mod authors, so I don't know if that will be something I'll do. However, if your mod is listed below, feel free to use the record changes I provide as you like or contact me and I will gladly make a standalone patch for you. Below is a list of mods that you will need as masters for this patch to work. 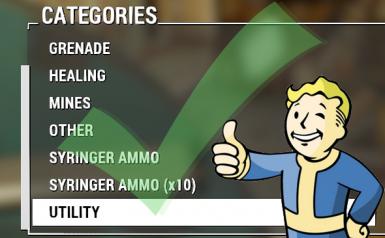 The mods below are required as community resources that this mod uses. Whoa, too many! How do I do this myself? I now have a Tutorial here. Enjoy! Works on my machine, requires all the mods listed above as masters. Should also work with Weaponsmith Extended, though it does not require it at this time. Move it to the bottom of your load order and you should be good. v1.2.1 - Fixed an issue with the info.xml file showing the wrong version. v1.2.0 - Crossbows of the Commonwealth, CROSS Jetback, Survival Outfits Collection freed from chemical dependency. v1.1.0 - The Rebel freed from chemical dependency.